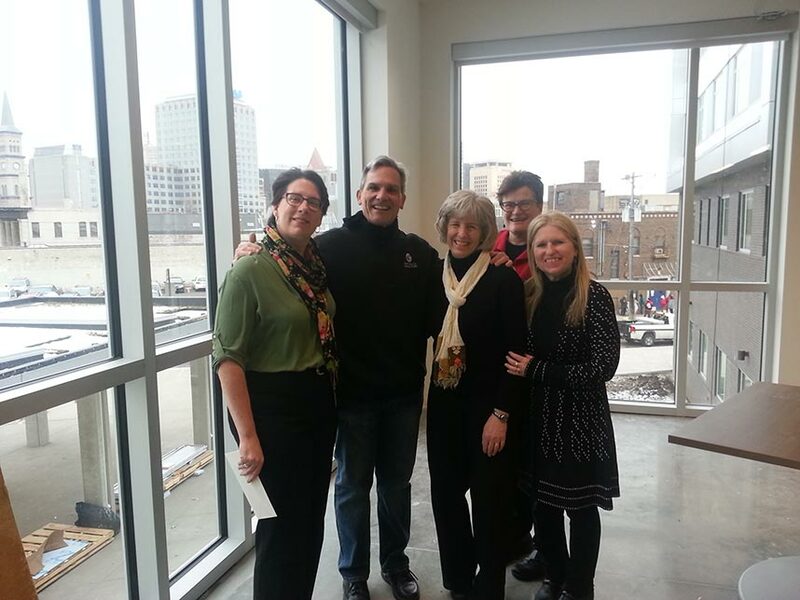 Tim Marx accepts several generous donations provided in honor of Nancy Homans in Mayor Chris Coleman’s office to help celebrate a milestone birthday! Nancy has been the City’s liaison to Catholic Charities and others working on the new Dorothy Day Place. 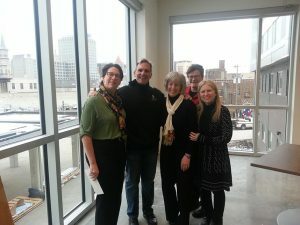 With Tim and Nancy in the picture at the soon to be opened Higher Ground in Saint Paul are Chris Rider, Anne Hunt and Jean Karpe from Mayor Coleman’s office. Thanks Nancy for getting us to Higher Ground!